Please note that the content of this book primarily consists of articles available from Wikipedia or other free sources online. 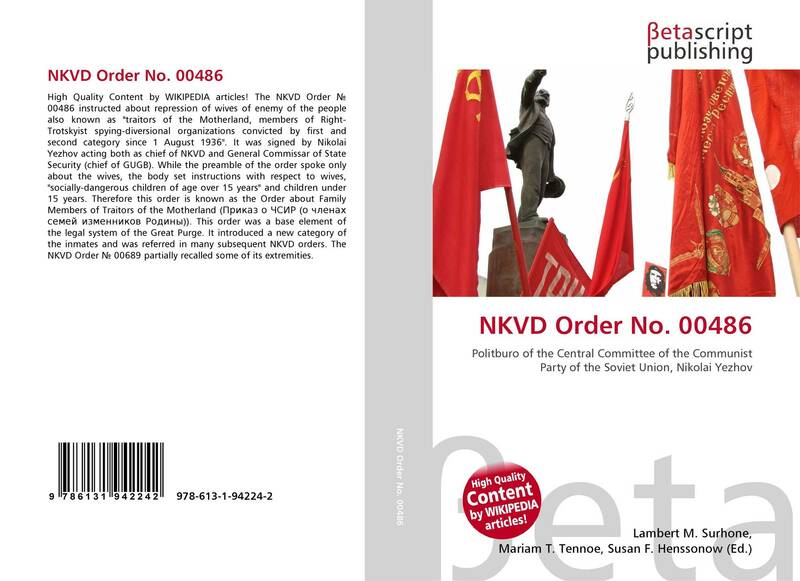 The NKVD Order № 00486 instructed about repression of wives of enemy of the people also known as "traitors of the Motherland, members of Right-Trotskyist spying-diversional organizations convicted by first and second category since 1 August 1936". It was signed by Nikolai Yezhov acting both as chief of NKVD and General Commissar of State Security (chief of GUGB). While the preamble of the order spoke only about the wives, the body set instructions with respect to wives, "socially-dangerous children of age over 15 years" and children under 15 years. Therefore this order is known as the Order about Family Members of Traitors of the Motherland (Приказ о ЧСИР (о членах семей изменников Родины)). This order was a base element of the legal system of the Great Purge. It introduced a new category of the inmates and was referred in many subsequent NKVD orders. 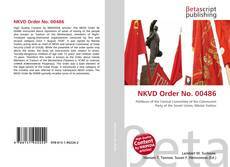 The NKVD Order № 00689 partially recalled some of its extremities.